i had to switch this photo to b&w so the red X's and O's would show up better against the red game board. 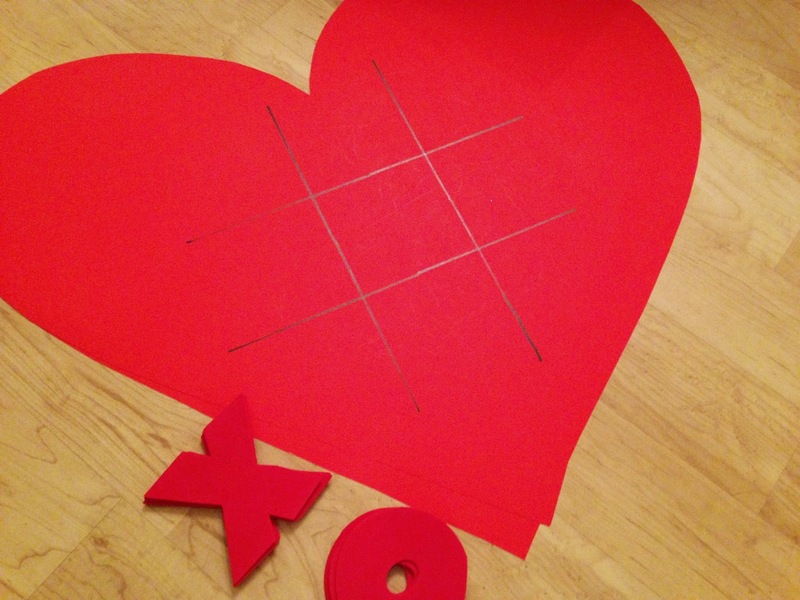 looking for an easy, inexpensive valentine's day game? what if i told you it costs $1.50 and takes less than 5 minutes to create? 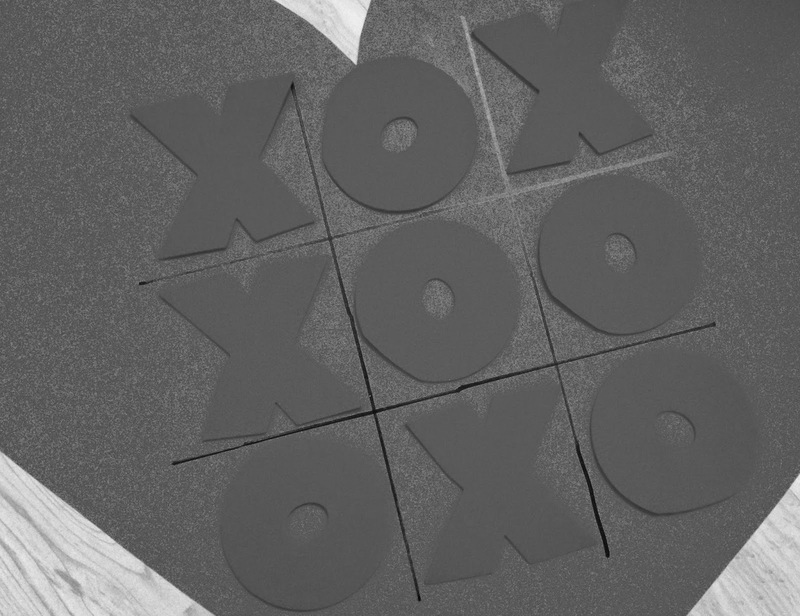 i made two of these tic-tac-toe games for graham's kindergarten class to play with during their school valentine's day party. nothing better than a simple game, presented in a special new way, to make the week of valentine's day a bit more fun for your kids!